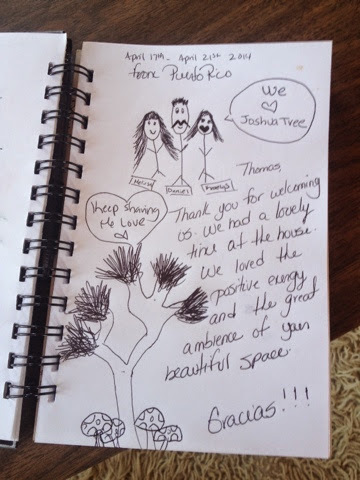 Joshua Tree Mountain Vista Vacation Rental: Awesome guest book entry by my super cool guests from Puerto Rico traveling from Los Angeles to Las Vegas. Thank you! !